Do you know your 808s from your 1738? Why is Drake running through the six? We explain hip hop's numbers. 1. Drake always seems to be running through the six, doesn't he? You might have noticed that Drake has been dropping a few references to the number six of late. His forthcoming album is titled ‘Views From the Six’ and the number appears several times in the tracklist of his latest mixtape, ‘If You’re Reading This, It’s Too Late’. 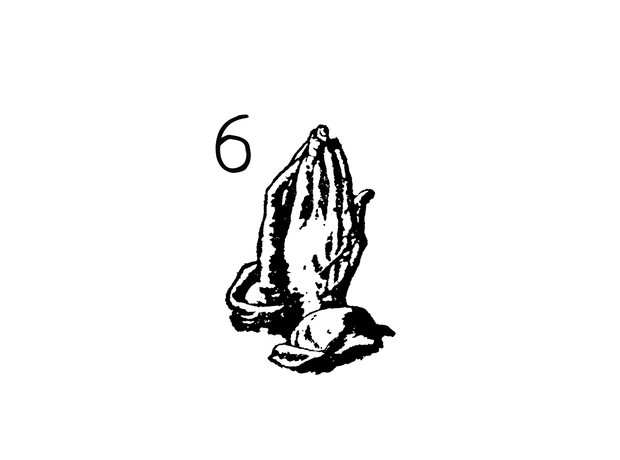 Most notably, the track ‘Know Yourself’ features the line “Running through the six with my woes”. "The six" refers to the Toronto area code 416 where Drake grew up. For Bey and Jay, the number four holds special significance. Beyoncé’s birthday is Sept. 4, while Jay-Z’s is Dec. 4; the two married on April 4 in 2008; they have matching “IV” tattoos on their wedding fingers; and Beyoncé named her latest album 4. In addition, fans have speculated that the couple's first child’s name, Ivy, is also a reference to the Roman numeral IV. 3. Why is Drake always shouting out the number forty? 5. Why is Kanye keeping it 300? Ye’s ‘Black Skinhead’ features a reference to 300 in its hook: “I keep it 300, like the Romans / 300 b****s, where the Trojans?“. There’s multiple allusions here: firstly, to the same-titled comic book and its film adaption '300'. Secondly, to the expression “keeping it 100%”, only Kanye is saying he keeps it 300%. Thirdly, a coded shoutout to Chief Keef, who appears on another album track, “Hold My Liquor”. 6. Did you clock the number on the cover art of Vince Staples's EP? The cover art to Vince Staples's first official EP, ‘Hell Can Wait’ depicts a house in flames with the number 6500 on it. It refers to a real address: 6500 Obispo Ave. in Long Beach, the neighbourhood where Vince grew up. On the final track of his mixtape ‘Stolen Youth’, Vince raps “I’m here to tell the world I’m from Ramona Park”; 6500 Obispo Ave. is on the corner of Ramona Park. 8. Why are there 36 chambers, exactly? Kanye’s fourth album, ’808s & Heartbreak’, is named after the Roland TR-808 drum machine, the sounds of which you will instantly recognise even if you haven't heard of the machine that made them before. An additional piece of lesser-known trivia: Kanye recorded the album in Hawaii, where the telephone code is, coincidentally, 808. 11. What is Chief Keef's connection to the number 300? There are two numbers that appear frequently in Sosa’s lyrics. Firstly, 300 or 3hunna, a reference to an area of Chicago and, allegedly, one of the city’s street gangs, Black Disciples. The second number that Keef occasionally refers to is 1017, a reference to Gucci Mane’s record label 1017 Brick Squad which Keef is affiliated with. As Gucci explained in an Instagram post, 1017 is the number of his late grandfather’s house. 12. Why is Fetty Wap repping the year 1738?